Description Miller Thomson prides itself on the quality of service provided to clients and our ability to attract and retain top legal talent. We deliver dynamic solutions and are uniquely pan-Canadian, offering legal services in more business centers in the country than any other national firm. Our Commercial / Construction Litigation Group is seeking an energetic, team-oriented, and entrepreneurial Associate to join the team in our Vaughan office. The culture of the Miller Thomson’s Commercial / Construction Litigation Group is to provide value and a sound approach targeted at achieving client’s goals. With lawyers in our Group across the country, we are experienced in litigating cases in virtually all areas of general commercial litigation. Our focus on specialized areas of litigation allows us to involve the right people to solve the problem at hand, and to work across disciplines when needed. In addition to dealing with active cases before the courts and before arbitration tribunals, many clients look to us for proactive advice on litigation matters. We pride ourselves on providing clients, big and small, with timely and cost effective litigation solutions to help them navigate through this legal environment. The successful candidate will have: Excellent academic credentials 2-4 years of experience A license to practice in Ontario Proven client management skills Strong analytical, Communication and drafting skills An entrepreneurial attitude Interested candidates with a desire to work with a national team, participate in complex files and develop their own practice should apply in confidence with a cover letter, resume and law school transcripts. White we thank all applicants for their interest, due to the volume of applications we receive, only those selected for an interview will be contacted. Miller Thomson will provide accommodations on requires throughout the recruitment, selection, and assessment process for applicants with disabilities. If you require accommodations, please inform our Talent Management department of the nature of accommodations that you may require, to ensure your equal participation. Job Summary: Bianchi Presta LLP is actively seeking an Associate to join our Litigation Group with experience in Commercial / Construction Litigation . We are looking for a dedicated, entrepreneurial and team-oriented lawyer who wants to grow within our Vaughan-based, mid-size, full-service law firm. An Associate within our Litigation Group should expect to deal with active cases before the courts at various levels, handle mediations and appear before landlord & tenant and arbitration tribunals. Our Litigation Group’s approach is to work closely with our clients to narrow the scope to maximize their value by providing cost-effective representation in a timely manner. This pragmatic approach to providing legal advice to our clients has been the secret to our continued success as a firm over the past 26 years. Duties and Responsibilities: Reporting directly to the Practice Group Head and Managing Partner, the successful candidate will be responsible for: Carriage of construction litigation files, including lien actions and adjudications, as well as general commercial litigation files, including breach of contract, warranty claims and collection actions Developing legal strategies, conducting examinations for discovery, retaining external experts, negotiating and settling actions and attending mediations, Pre-Trials and Trials Researching legal issues and preparing legal opinions and reports Providing strategic legal advice to clients Travelling, as necessary, to court houses and court reporting offices within Ontario in furtherance of the above. Skills and Qualifications A University Degree in Law (LLB or JD) Member in good standing as a Lawyer with the Law Society of Ontario Minimum 3 – 5 years’ experience providing a broad range of legal services, primarily focused in the area of construction litigation and general commercial litigation Sound working knowledge of the Rules of Civil Procedure and the Construction Act An entrepreneurial attitude with proven client management skills Demonstrated ability to manage litigation files, including drafting pleadings, conducting legal research and analysis; providing oral and written legal advice and opinions; conducting examinations for discovery, mediations, adjudications, motions and trials as required Must have excellent interpersonal skills and be able to communicate effectively, both orally and in writing Ability to exercise appropriate and sound judgement and discretion in dealing with privileged and confidential matters and ability to provide advice and direction to clients Ability to negotiate, facilitate, mediate and/or arbitrate towards a cost-effective resolution to litigation files Organizational skills and the proven ability to work under tight deadlines and determine work priorities are necessary Ability to work with both paper-based and paperless litigation files Familiarity with construction liens and related case law is essential Must maintain current knowledge of developments in commercial and construction law and their application to development work Mandatory Application Requirements : Please note only applications that contain: (i) a Cover Letter and (ii) a Resume will be entertained. We encourage you to visit our website at www.bianchipresta.com for more information about our firm prior to applying. If you are interested in this opportunity, please send your cover letter and resume in a single PDF file entitled " (Applicant name) – Associate Application 2019 ”. We thank you for your interest in joining Bianchi Presta LLP, however, due to the volume of applications only selected candidates will be contacted for next steps and interviews. We have an exciting Full Time Non-Unionized opportunity in the Office of the City Solicitor for an experienced and motivated individual Legal Counsel – Development/Real Estate (2 Positions) (JOB # J0318-0068) As one of Southern Ontario’s fastest growing cities, with its mix of urban and rural areas, Vaughan is an in-demand place to live and work. Vaughan is considered one of Canada’s most family friendly cities with a dynamic and diverse population of over 300,000. With one of the top performing economies, a growing tourism industry and an enviable portfolio of recreational and cultural venues, this is the place where you want to be. The Office of the City Solicitor is growing and is seeking two experienced Development/Real Estate lawyers. Reporting to the Director, Legal Services, your duties will include: Providing a full range of timely, pragmatic, and high quality legal services to City Council, Senior Management, and staff regarding complex development and real estate matters. Reviewing, drafting, and negotiating sophisticated agreements related to residential, commercial, and industrial land development.\ Providing clear and concise advice with respect to all aspects of a variety of real estate transactions with both private and public sector entities. Drafting reports and providing advice to Council on general development, real estate, and municipal matters in both public and in camera forums. Completing all other duties as assigned. Qualifications and experience: Member in good standing with the Law Society of Ontario. Minimum of 3 years of development and real estate experience as a practicing lawyer. Municipal sector experience is an asset. Demonstrated ability to identify and manage competing priorities while working both independently and in collaboration with colleagues and staff. Excellent communication, drafting, and critical analysis skills. In addition to offering a competitive compensation package, we have a strong focus on health and wellness, including fitness facilities and family-focused benefits. If you are an energetic person who is interested in bringing your knowledge and passion to the City of Vaughan, please visit our website to apply online by Friday, April 13, 2018. Please note that only candidates selected for interviews will be contacted. The City of Vaughan is committed to diversity and inclusivity in employment and welcomes applications from qualified individuals of diverse backgrounds. 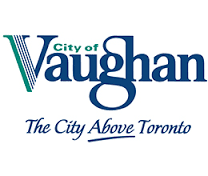 The City of Vaughan is also committed to providing accommodations for people with disabilities. If you require an accommodation, we will work with you to meet your needs. We are a mid-size, full service law firm located in the heart of the City of Vaughan. Our firm's founding partners built this business from the ground up on the basic principle of putting the client first. Today, our team enjoys a fast-paced, dynamic work environment coupled with a collegial office culture - where our team works together by supporting one another to provide our clients a level of service that is second to none. Our continued success is, without a doubt, linked to our ability to attract and retain high-caliber individual lawyers, associates, students, and support staff, who embody our core-values as we continue to enhance and grow our team in various roles and capacities. JUNIOR FAMILY LAW LITIGATION CLERK: Bianchi Presta LLP is currently seeking applications for the role of a Junior Legal Assistant or Law Clerk to support our Family Law Litigation Group and join our BP team by assisting one of our firm’s Family Law litigators in all aspects of Family Law litigation and practice generally. A successful candidate will demonstrate a strong work ethic with excellent organizational and communication skills, will be able to work independently, will be detail-oriented and will be creative in problem solving. PRIMARY RESPONSIBILITIES: Key responsibilities include, but are not limited to, the following: Initiating the organization of and managing of files or parts of files, in particular financial disclosure; Calculating litigation time lines and ensuring deadlines are met; Liaising with clients and other professionals; Drafting Family documents such as Financial Statements, Net Family Property Statements, Financial Disclosure Briefs, etc. ; Creating and maintaining a document database, and indexing and cross-referencing financial documents; Creating and maintaining a case file database for litigation; Compiling and responding to disclosure requests, and reviewing and ensuring sufficiency of responses received to our disclosure requests; Other duties, as required QUALIFICATIONS: Legal Administrative Assistant or Law Clerk Diploma from a recognized college preferred; Minimum 2 years of experience as a legal administrative assistant or law clerk with specific Family Law practice experience General litigation experience would also be an asset Knowledge of the Family Law Rules and Ontario Rules of Civil Procedure; Must possess strong attention to detail and exceptional proofreading skills Ability to communicate in a professional, efficient manner with clients and external contacts as well as internally throughout the firm; Highly organized, team player with the ability to work under pressure, deal with changing priorities and meet strict deadlines; Ability to work well in a team and with minimum supervision when required; Excellent proficiency with DivorceMate and MS Office Suite 2016 products including Word, Excel, Outlook, digital dictation and Adobe PDF viewer, and generally strong computer literacy. 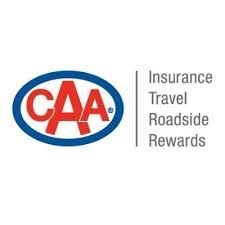 SALARY: Commensurate with Experience BACKGROUND & REFERENCE CHECKS: Any offer of employment may be conditional upon full background checks including a criminal record check, a credit check and employment and educational verifications. A reference check will also be conducted. APPLICATION DETAILS & REQUIREMENTS: If you are interested in this opportunity, please send your cover letter, resume and at least one ( 1* ) **work-related reference in a single PDF file entitled "(Applicant name) – Junior Family Law Clerk Application (YYYY-MM-DD)" . Please indicate the position you are applying for in your cover letter. We thank you for your interest in joining Bianchi Presta, however, only selected candidates who match our recruitment criteria will be contacted for next steps and interviews. No agencies, please. We encourage candidates to visit our website at https://www.bianchipresta.com to learn more about our firm and to help you determine if Bianchi Presta is the right fit for you. Carr Law is still expanding. Carr Law is a law firm of lawyers and paralegals providing a broad range of legal services. We are seeking a paralegal in good standing with the law society. You must be a team player and work independently. You must be professional with attention to detail. Compensation is linked to performance. Experience in small claims court is preferred. To find out more about Carr Law, please visit our site at www.carrlaw.ca. Please respond with salary expectations and when you are able to start.